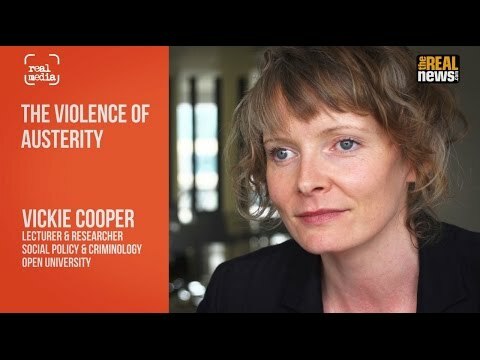 Dr Vickie Cooper is a lecturer in Criminology and Co-Director of Harm and Evidence Research Collaborative (HERC) at The Open University. Vickie’s research focuses on homelessness and housing inequality and is currently researching the relationship between welfare reforms and evictions in the post-crash climate and austerity as a violent political project. Her previous research looked at the relationship between homelessness, criminalization and incarceration. Vickie comes to Greenbelt as part of our *Radical Reading: Provocation from Pluto Press* series. Ken Loach referred to the “conscious cruelty” of the Tories. Cooper and Whyte show it goes beyond that. And then came Grenfell.